Connecticut’s state legislature failed to agree on how to address its $960 million budget deficit, forcing lawmakers to head into a special session. 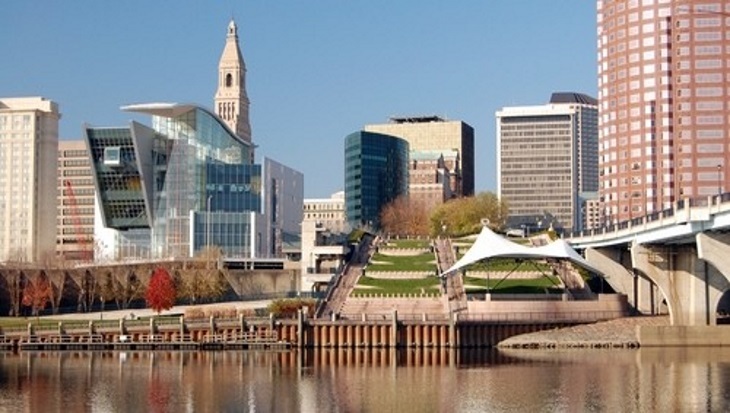 As The Wall Street Journal reported, Connecticut operates on biennial budgets (login required), and the state passed its current general fund budget last June. However, that budget called for spending $18.71 billion in the 2017 fiscal year, an amount not supported by the state’s income-tax revenue, resulting in the nearly $1 billion deficit. In a joint statement, Speaker of the House Brendan Sharkey and House Majority Leader Joe Aresimowicz said lawmakers were unable to reach an agreement on how to proceed during the regular session. Sharkey and Aresimowicz said the legislature would have been forced to prematurely cease debate in order to meet the deadline of passing the budget during the regular session, which ended on May 4. “That scenario would not be fair for the purpose of allowing a complete and reasonable debate, and at this point would be a disservice to House members and the public they represent to move forward tonight,” the pair said in the release. Lawmakers have been debating Gov. Dannel P. Malloy’s budget proposal for several weeks now. Under this proposal, backed by state Democrats, state agencies would cut spending by $830 million across the board. The state would also cover $130 million of the deficit through one-time revenue sources, but would not use its rainy-day fund or raise taxes. As Connecticut Post reported, those cuts to state agencies outlined in the governor’s proposal include layoffs, some of which have already been enacted. The governor’s office issued 89 pink slips to employees at the state’s Department of Developmental Services, as well as one employee at the Military Department, in the early days of May. The state announced it will begin closing regional centers operated by DDS and convert state-operated group homes to private operation. Most of the layoffs at DDS involved administrative and maintenance employees, but also included clinical positions such as speech therapists. All told, 650 employees have been laid off from the state’s executive branch this year as part of the effort to address the deficit. As the Journal noted, lawmakers agreed to other compromises under the governor’s proposal to address the deficit, including reduced spending for state priorities such as transportation, schools and municipal budgets. However, these cuts are unlikely to be enough to stop the number of layoffs from increasing. The governor’s office previously projected the total number of terminations may reach as high as 2,500, though union officials have estimated that number to be closer to 4,500 or 5,000 based on the monetary amount that needs to be recovered. Labor groups including the Connecticut AFL-CIO have called for lawmakers to raise taxes for corporations and the state’s wealthier individuals instead of carrying out further job cuts. In a statement, Malloy urged lawmakers to pass his budget proposal once they come back for the special session. Malloy added that he was supportive of the special session unless lawmakers used it to reopen the budget debate. However, the Associated Press reported that renewed discussion is likely. Republican lawmakers, including Rep. Melissa Ziobron, a lead member of the General Assembly’s Appropriations Committee, raised concerns that the governor’s plan cut grants for the state’s substance abuse and mental health treatment programs. She also said the spending reductions would be detrimental to cities and towns, making it harder for them to fund their school districts. However, fixing the state’s budget may not be as simple as raising taxes in order to avoid spending cuts. Speaking with the AP, Brian Flaherty, senior vice president for public policy at the Connecticut Business and Industry Association, said last year’s budget relied too heavily on business and corporate tax increases. As a result, major employers pulled out of the state, further hurting state revenue. Flaherty said this year’s budget needs to enact major reforms, not one-time fixes like tax increases. When state governments are faced with major deficits or are considering significant reforms to their budgets, they are forced to balance many complex factors. Informed debate over state finances requires both granular insight into current economic conditions as well as accurate long-term forecasting. Questica’s Public Sector budgeting platform creates a web-based solution that facilities cooperation between multiple stakeholders. The highly configurable software replaces the need for inefficient and potentially inaccurate spreadsheets, with a highly organized, streamlined system that allows for real-time data to be readily shared and analyzed. Without increasing workload or paperwork, Questica’s Budget platform provides a specific tool lawmakers and state agencies can use for forecasting their operating budgets and tracking expenses such as salaries and benefits or longer term capital investments such as transportation infrastructure. With multi-year budgeting, multi-user real-time access and flexible deployment options, Questica provides public sector entities with highly detailed insight for long-term financial planning. Governments working to balance their budgets should contact Questica to learn how budgeting software can improve insight into financial reforms.